If I had to picture a color to go with the name Violets Are Blue... I'd probably go with something a bit more purple leaning. BUT... that doesn't mean I don't like this shade. I just might've named it differently. It's a part of Sinful Colors Mod in Bloom Collection for Spring 2014. 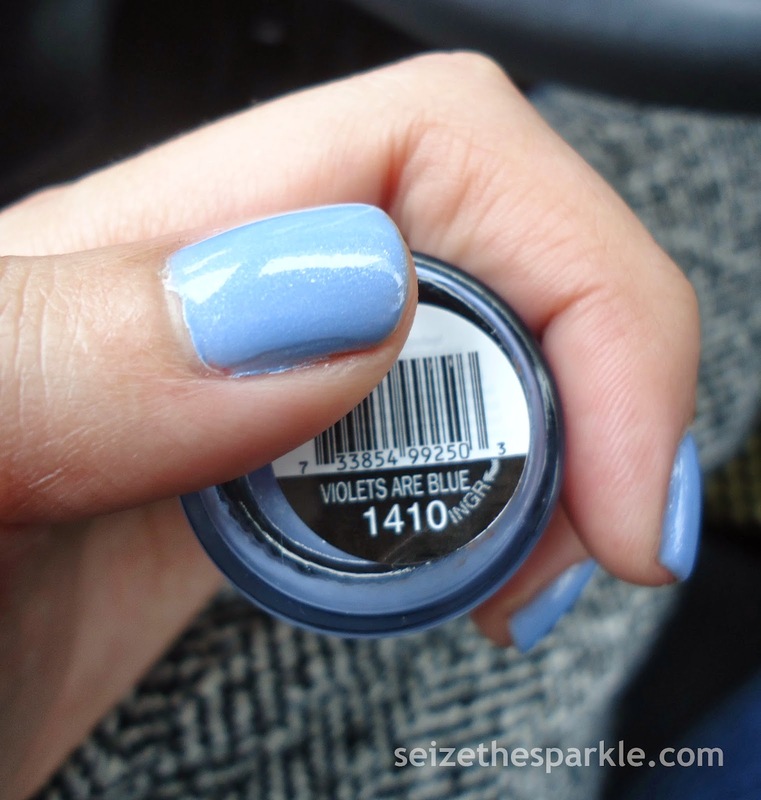 Violets Are Blue is a cool, sky blue creme polish with silver microshimmer. It's a cool cousin to Sinful Colors Cinderella, and a pretty on-trend color for Spring 2014. The shimmer adds a nice softness to the polish, so it doesn't come across chalky, like some pastel colors can tend to do. Have you picked up any new SinfulColors shades recently?